We received this message from a Carer who has used her Carers Card at one of the providers on the clifftop at Boscombe. We do hope that other carers are using their cards and enjoying outings like the one described below. The Directory of where the card can be used in Bournemouth Poole & Christchurch (click Directory) is growing daily and we are open to suggestions from carers. Please send us more stories, we love to hear them. 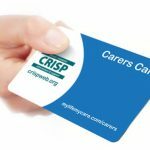 “Just to say Thank you for the Carers discount card. I received it last week and Saturday after doing a bit of shopping and as there was some sunshine we decided to treat ourselves and go for a little drive to Café on the Cliff, it is situated within the Boscombe Bowls club and we found it easily enough, plenty of free parking in the side road and for an unlimited time. So we had a pot of tea for 2, a double cheese salad sandwich and a piece of millionaire shortbread. Food is freshly prepared and the cake was homemade and delicious. The staff were friendly and welcoming and prices were reasonable. (remembered to use card!) A real gem of a place. There was a bowls game being played so we stopped and watched a while, then we crossed the road to admire the sea views before going home.